The Italian aviation market continues to provide headlines as it was announced on Monday that Sardinian-based carrier Meridiana would be rebranded as Air Italy with fleet expansion plans and a base at Milan Malpensa. 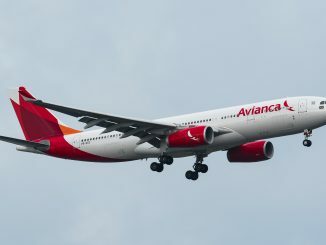 The announcement confirms months of speculation that a shake-up of the operation was imminent after Qatar Airways acquired a 49 percent stake of Meridiana’s, now Air Italy’s, parent company, AQA Holding in September 2017. 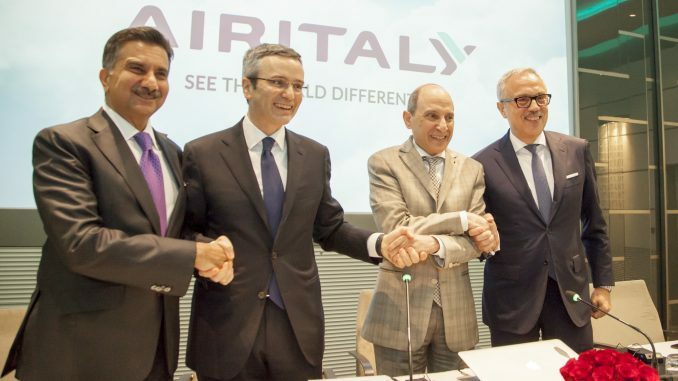 At the time of the acquisition, Qatar Chief Executive Akbar al-Baker proclaimed that with his airline’s assistance Air Italy would grow its domestic and international network extensively. “Qatar Airways is known the world over as the best airline in the world, as voted for in Skytrax 2017,” said Mr. Al-Baker. 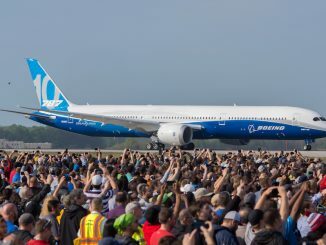 “It is with this ambition and dedication to the passenger experience that we will work together to build a sustainable airline alternative for the people of Italy and global travellers to and from this beautiful country. At today’s announcement in Milan with His Excellency Mr. al-Baker in attendance, the newly established Air Italy announced that it will take 20 Boeing 737 Max 8s, beginning in April of this year, plus five Airbus A330s over the next three years on lease from Qatar Airways “at market rate.” The Airbus aircraft a merely a placeholder until the airline receives its new Boeing 787-8 Dreamliner aircraft beginning in May 2019, bringing its fleet to 50 aircraft by 2022. 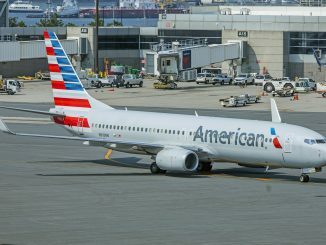 According to a press release from the new airline, the new branding campaign and name change is part of an effort to target the “next generation of traveller” with the airline “aimed at positioning itself as Italy’s leading airline,” a clear assault on Italy’s iconic flag carrier, Alitalia. 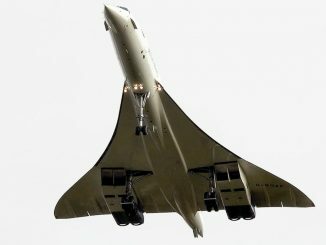 “Our ambition is strong now as it has been throughout our history, starting with the aim of assisting in the development of tourism in Costa Smeralda and, later, to develop the leisure and charter Italian marketplace,” said Marco Rigotti, Chairman of Alisarda, one of Air Italy’s parent companies. 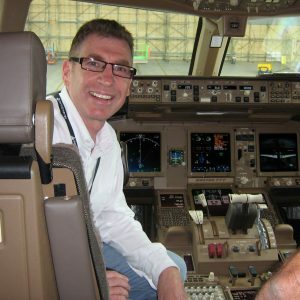 “Over the last 10 years, Meridiana has witnessed the radical transformation of the European aviation industry, characterized by a fierce competition. Air Italy aims to be a leader in the global industry, thanks to the airline’s hub in Milan Malpensa, and the reinforced base of Rome Fiumicino, alongside the seasonal network from Olbia’s Costa Smeralda heritage base which is also the headquarters of the airline”. 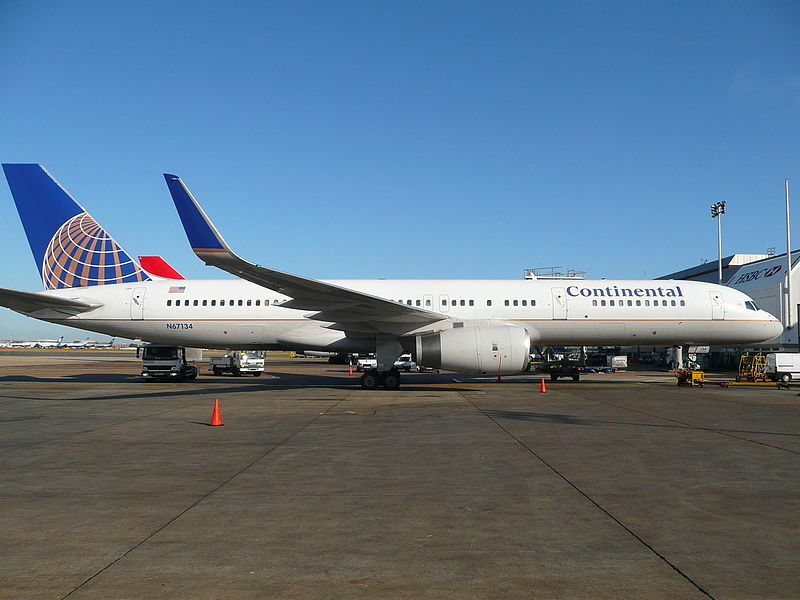 The airline already has expansion plans from its new hub in Milan. 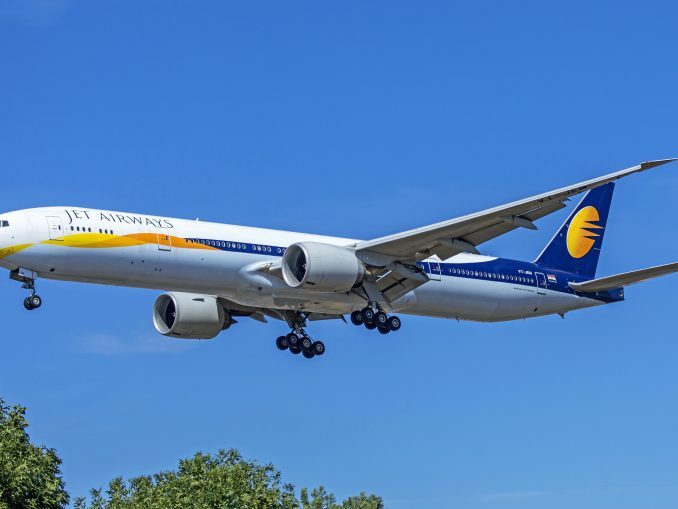 Long-haul routes using the newly acquired Airbus A330 aircraft to New York and Miami from Milan have already been announced and will begin in June, while a newly announced Milan to Bangkok route will open in September starting with 4 weekly flights. For its short-haul expansion, Air Italy is opening up routes from Milan to Rome, Naples, Palermo, Catania and Lamezia Terme to complement its long-haul flights. 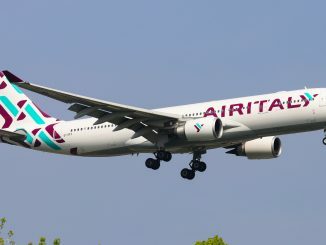 In addition to its Milan hub, Air Italy aims to directly compete with Alitalia on its home turf at Rome’s Fiumicino Airport by opening up an undisclosed long-range route from the airport in 2019. 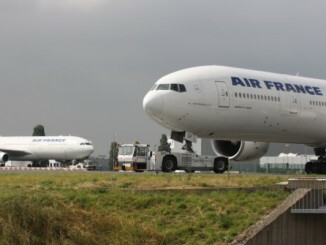 The overall goal for the airline is to expand its short-range route network and have 50 year-round routes by 2022. In reference to the financially struggling national carrier Alitalia, Mr. al-Baker made clear that the relaunched airline aims to compete aggressively to become the Italian flag carrier. “We will show that we are the star,” news agency ANSA reports Mr. al-Baker saying during today’s press conference. The name Air Italy is not new and in fact, Meridiana has a wholly-owned subsidiary airline Air Italy, which is based in Milan. The airline was fully merged with Meridiana back in 2013 after being purchased in 2011 and the brand was retired. 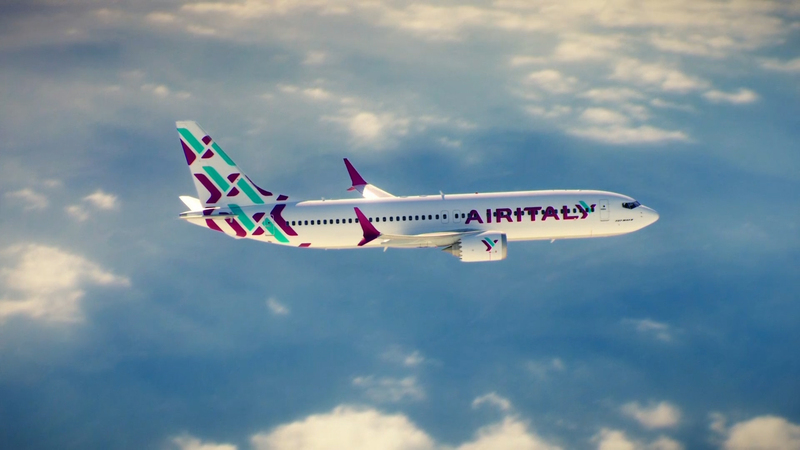 Resurrecting the Air Italy name appears to be a strategic move by AQA Holding to give the operation an elevated profile both internally and internationally against their established competition. The incorporation into the branding of the ‘new airline’ of colors associated with Qatar Airways would appear to be a strategy to assist in this elevation. Alitalia was declared insolvent in May 2017 and has been seeking potential buyers since then. A deadline for interested parties to submit their offers was extended from November 2017 to the end of April 2018. 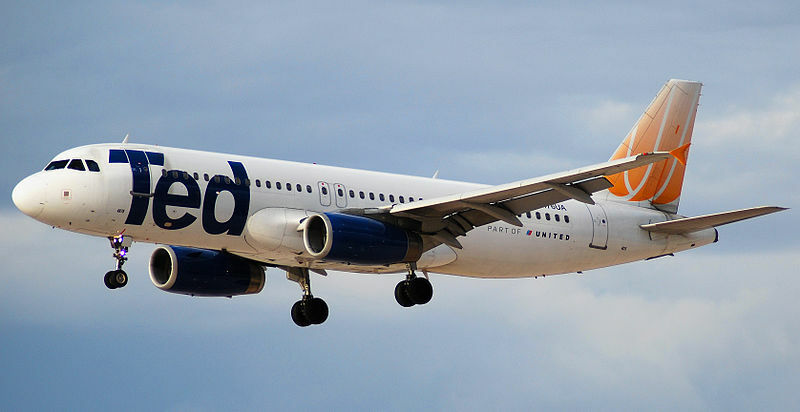 State aid has been keeping the airline in business after Qatar’s Middle Eastern rival Etihad Airways, who has a 49% stake in the carrier, advised they would no longer be investing in the carrier. 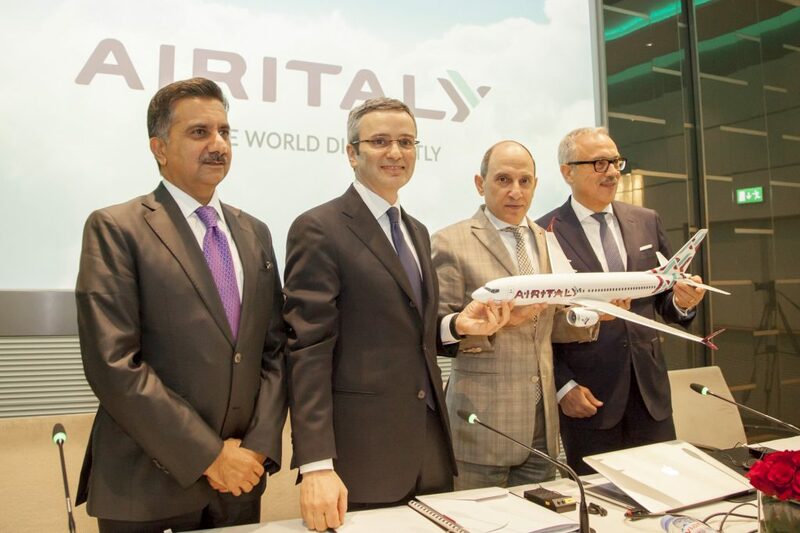 With Qatar being so heavily involved in the relaunch of Air Italy and the future of Alitalia, with its Etihad connection, to be determined in the coming months, the Italian aviation market will continue to be a source of interest.